Click and collect accounted for 50% of online orders at toy retailer The Entertainer in the week before Christmas, up from 25% in non-peak trading. The service, powered by hybris’s omni-channel software, came into its own in 2014, according to The Entertainer’s IT director, Sue Dorkin. “A big change this year has been click and collect and managing the infrastructure to support click and collect in the stores,” she said. The retailer’s 90-minute home delivery service with Shutl also spiked in the run up to Christmas with 45% of Shutl deliveries completed in the last two weeks of the year as concerns about receiving parcels ramped up in the lead up to the ‘big day’. Click and collect sales through online marketplaces – The Entertainer sells via eBay and Tesco’s marketplace – also increased with 35% of Tesco customers opting for the service. The Entertainer is facilitating click and collect in its own stores with a new mobile solution – the store manager’s workbench. The tool runs on a tablet and enables store staff to manage click and collect orders remotely, wherever they are in the store. The tablets support the retailer’s 30-minute click and collect service. Once online orders are received in store, pick tickets are generated and can be scanned into the mobile device. The item is picked and prepared and an email confirmation is sent to the customer to advise them the item is ready to collect. On collection, shoppers can sign the tablet. Critically, the process can be completed away from the till point. Tablets can also be used for queue busting, to send email receipts to shoppers and to suggest add-on items from the website. There are currently five tablets per store, three of which are Chip and PIN enabled, rolling out to the complete store estate by Q2. Developed in tandem with Itim, The Entertainer said it has taken the functionality from its handheld terminals and transposed it to the tablets so that they can be used for jobs such as printing shelf edge labels and capturing customer emails; as well as searching the retailer’s website. Tablets also host a KPI dashboard for store managers and for their individual regions. Recovery from Black Friday and the countdown to Christmas were the two biggest challenges faced by The Entertainer in 2014, Dorkin reports. From a logistical point of view, over capacity at Yodel central sort centres, resulting from Black Friday, meant the retailer had 20 trailers with picked stock sitting outside depots. This created a 25% spike in calls from customers, said Dorkin. A further 150 customer orders were halted due to the collapse of City Link, which were either refunded or resent. The Entertainer said it was working with Metapack to help spread the risk surrounding delivery fulfilment and to divert to different couriers where necessary. According to Phil Geary, The Entertainer’s marketing and e-commerce director, Black Friday was the biggest sales day in 2014 with traffic up 167% on Cyber Monday, the busiest day in 2013. Units sold were up by 200%. “The peak starts at the October half term but I can see it coming forward even further,” he said. 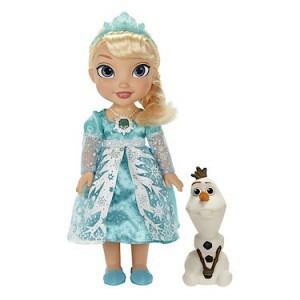 The retailer was also impacted by ‘Elsa Wednesday’ when a late shipment of 3,000 Snow Glow Elsa toys went on sale and sold within two hours. Shopper interest caused the website to crash for half an hour and at one point there were 16,000 open sessions of customers trying to make a purchase. For 2015 The Entertainer plans to offer more collection points and has been testing the customer journeys on its website to optimise its capacity planning. It will also garner information on the products which cannot be fulfilled from store to enhance its merchandising and replenishment. New stores are in the pipeline too. The 100-store chain opened nine stores last year and plans a further 15 in 2015. It is currently underrepresented in Scotland and is primarily southern based. “There’s a lot to go at,” said Geary. A new warehouse in Banbury is also planned. Online, the business said a live chat trial had reduced exit rates and it will be investigating further, as well as exploring integration with Amazon Checkout and PayPal.